Brand new 4K Ultra HD Ghostbusters Blu-ray collection features never before released scenes and new commentary from fans and creators of the first two blockbuster films. As many fans of the unique and iconic supernatural comedy franchise are aware of, this year marks the 35th anniversary of Ghostbusters -- the blockbuster that brought forth a genre defying wave of films, television shows and highly sought after collectables. To mark this occasion, Sony Pictures Entertainment has planned a once in a lifetime two day event on their studio lot called Ghostbusters Fan Fest (June 7th and 8th), an international Live Orchestra Tour for the original film throughout 2019 and multiple limited edition products to commemorate the 35th anniversary of the franchise such as the Transformers / Ghostbusters crossover in both toy and comic form. 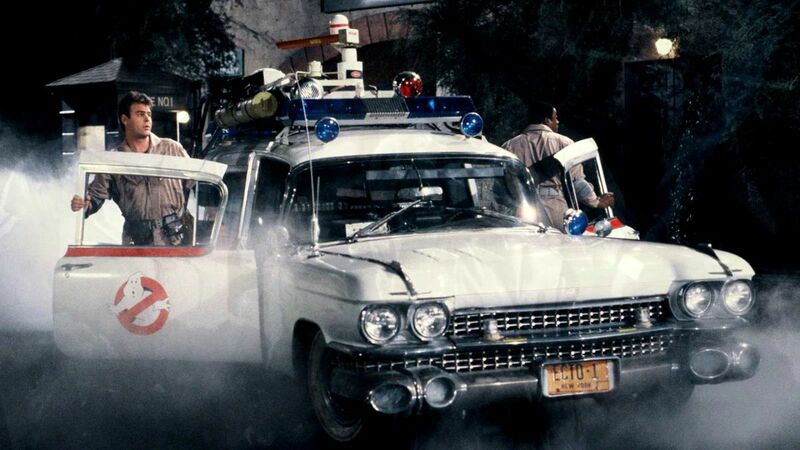 Ray Stantz (Dan Aykroyd) and Winston Zeddemore (Ernie Hudson) arrive at Fort Detmerring in a never before released scene. 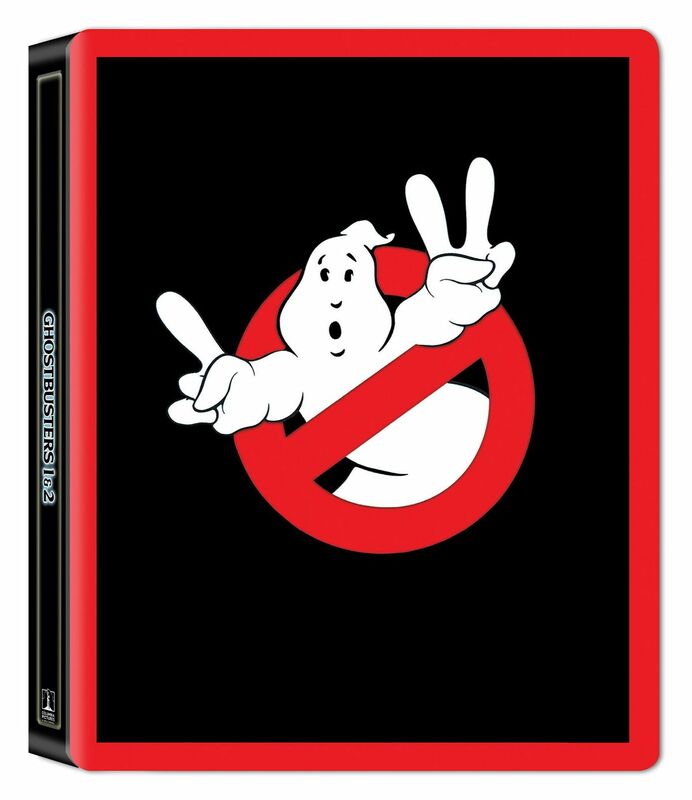 Ghostbusters fans are incredibly lucky, as they have even more to be excited about with the release of Ghostbusters and Ghostbusters II in 4K Ultra HD in a limited edition steelbook. With over two hours of lost footage, never before released deleted scenes and long-requested / rare archival elements from the original films this collection of content will likely serve as the holy-grail for film collectors and die hard ghostheads alike. Both films were fully restored from their respective original film negatives and presented on 4K Ultra HD with HDR and Dolby Atmos audio. Prepare to experience the Stay Puft Marshmallow Man's roaring meltdown and the River of Slime's oozing pink glow like never before. 6 Rare and Newly Unearthed Deleted Scenes, including the long-requested Fort Detmerring scenes (includes Raw Takes for the Central Park Bums sequence)! 1984 ShoWest Exhibitor Reel, featuring Bill Murray and Dan Aykroyd pitching an early reel of footage to theatrical exhibitors! 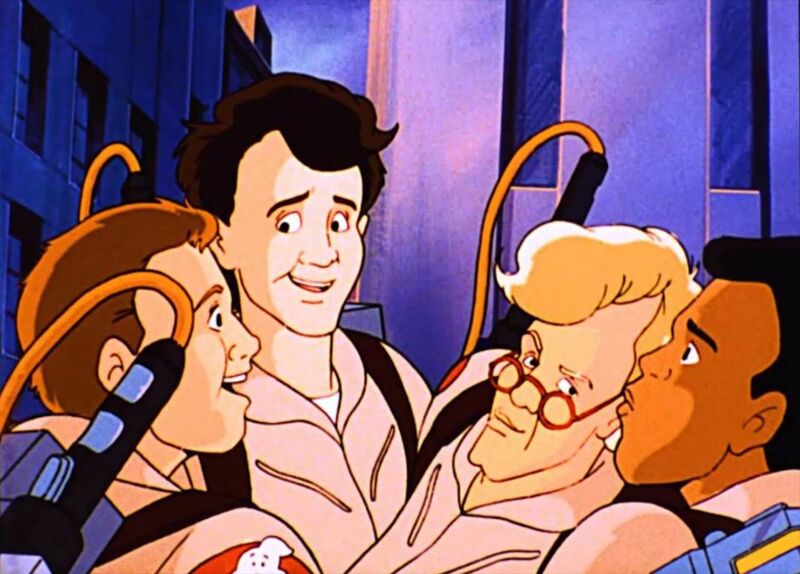 The Real Ghostbusters Pitch Concept Pilot. Notice anything different? 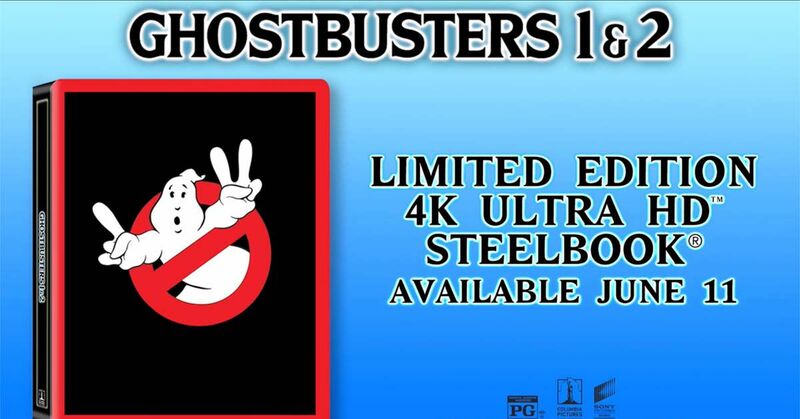 For more information about the Ghostbusters 35th anniversary 4K Ultra HD limited edition steelbook, and all things Ghostbusters, please follow @GhostbustersNet on Twitter, Instagram, Facebook and join our weekly email newsletter!